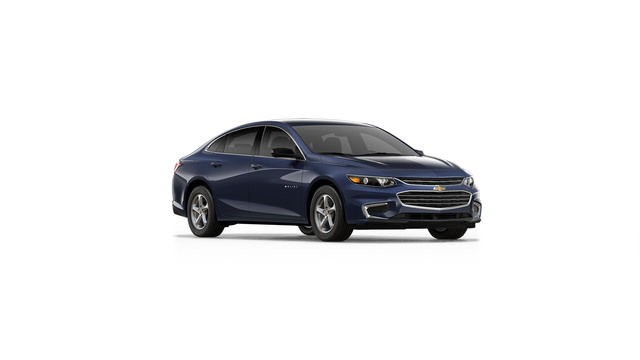 Looking for a New Chevrolet Malibu in your area? CarGurus has 3,145 nationwide Chevrolet Malibu dealers with 45,207 new car listings. The Chevrolet Malibu proves that a dependable family sedan doesn’t have to be boring. 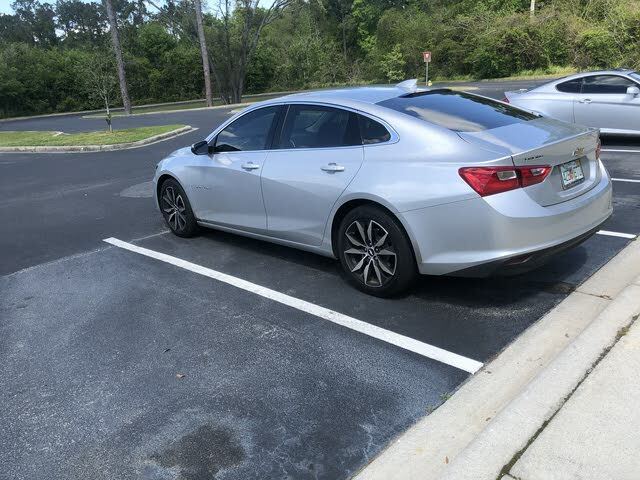 The midsize Malibu boasts easy-to-use technology and as much as 250 horsepower on tap, but blends that power with ample passenger space and solid dependability. The Malibu doesn’t look anything like other midsize sedans. At a time when automakers are pushing the limits of design, Chevrolet made sure the Malibu marches to the beat of its own stylistic drum. The cabin blends form and functionality, as its high-tech features are seamlessly integrated into the dash. Where the center stack meets the center console, space is provided for a driver’s wallet, keys, and phone. The Malibu has seating for five, and the rear outboard seats provide plenty of legroom, making them each comfortable spots for an adult during a long road trip. The trunk of the Malibu has 15.8 cubic feet of cargo space, which falls into the middle of the pack for midsize sedans. Should drivers need more room, the Malibu comes with a 60/40 split-folding rear bench. The Malibu is available in one of four trims: L, LS, LT, and Premier. The Malibu Hybrid is covered as a separate model. The L is decently equipped for a base trim. It comes with remote keyless entry, push-button start, front bucket seats, a 6-speaker stereo, tilt-telescoping steering wheel with integrated audio and cruise controls, and Bluetooth hands-free connectivity. The LS ups the style and the content, with 16-inch aluminum wheels, a reversing camera, 7-inch color touchscreen, and 4G LTE with Wi-Fi hotspot capability. The LT further enhances the Malibu with 17-inch aluminum wheels, LED daytime running lights, LED fog lights, and heated side mirrors with integrated turn signals. In the cabin, the LT includes SiriusXM satellite radio, power driver’s and front passenger seats, and attractive ambient interior accent lighting. At the top of the lineup is the Premier trim, adding chrome exterior details, 18-inch aluminum wheels, and remote start. In the cabin, the Premier loads up the Malibu with a larger 8-inch MyLink touchscreen, Bose 9-speaker audio system, dual-zone climate control, wall-style 120-volt power outlet, and heated-and-ventilated front seats. The LS, LT, and Premier all come with Chevy’s MyLink infotainment system. It has an intuitive layout, with home icons for audio, phone, and navigation. The home screen features large, easy-to-read icons, and their arrangement is customizable simply by dragging the icon to the desired location. The Malibu is also available with Apple CarPlay and Android Auto, further enhancing its connectivity to one’s smartphone. Two engines are available for the Malibu, with availability dependent on the trim. The L, LS, and LT all come with a 1.5-liter turbocharged inline 4-cylinder that creates 160 horsepower and 184 pound-feet of torque. The Premier trim comes with a larger 2.0-liter turbocharged inline four that puts out 250 hp and 260 lb-ft of torque. Regardless of the engine or trim, the vehicle sends power to the front wheels through a 6-speed automatic transmission. The 1.5-liter returns impressive fuel economy for this segment. EPA estimates are 27 mpg city, 36 highway, 30 combined. The 2.0-liter doesn’t do as well, but still returns a respectable 22, 32, 26. LS, LT, and Premier trims of the Malibu come with the innovative Teen Driver system, which helps promote safe driving habits by allowing a parent to limit stereo volume and set speed alerts. That might sound like Big Brother, but this feature gives peace of mind to parents when handing the keys of a brand-new car to a teen. Base MSRP for the 2018 Chevrolet Malibu is $22,555. The LS starts at $24,100, while the LT starts at an even $26,000. The range-topping Premier trim has an MSRP of $31,850. A number of packages are available on the Malibu. On the Premier, the Sun and Wheel Package (which costs $2,270) includes a dual-pane moonroof and 19-inch aluminum wheels. The Driver Confidence Package ($1,195) includes forward-collision alert with pedestrian detection, automatic high beams, front and rear parking sensors, lane-departure warning, blind-spot warning, and rear cross-traffic alert. An Appearance Package ($695) includes gloss black mirror caps, a dark chrome grille, and sport appearance pedals. The Malibu is a high-tech family sedan and advertises its tech with a modern exterior design. With all of this content, the Malibu is still a roomy, reliable, and efficient midsize sedan. What's your take on the 2018 Chevrolet Malibu? TheHorror The Malibu isn't boring? My, you have low standards! 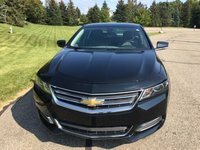 Users ranked 2018 Chevrolet Malibu against other cars which they drove/owned. Each ranking was based on 9 categories. Here is the summary of top rankings. Have you driven a 2018 Chevrolet Malibu? Enter your zip to see incentives for a new Malibu in your area. CarGurus has 49,419 nationwide Malibu listings starting at $1,000. I’ve had my 2018 Malibu for 4 months I’ve put 8,000 miles on it I can’t see how I hardly go anywhere my family lives close I work close. It’s just puzzling. The radio will not play any stations, but it will play music from a phone.